What a great idea this year for the Dodger Caravan to make it a community event where the fans get to contribute along the Dodger current and past players! 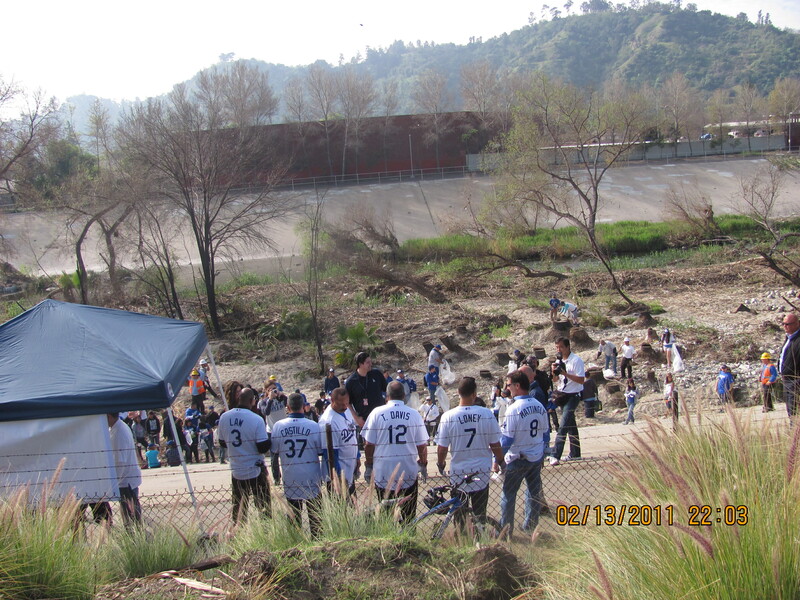 Today on Valentines Day, the first stop was the LA River cleanup. Here are some of the current and past Dodger players waiting to get dirty. Rudy Law, Bobby Castillo, Kenny Landreaux, Tommy Davis, James Loney and Don Mattingly. In the background you can see the train tracks, where my commuter train goes by. Andre Ethier was not there yet but he arrived a little later. He was coming straight from the airport. Lorena & Erik. Erik gave us beautiful handmade Dodgers pins. Thanks Erik! 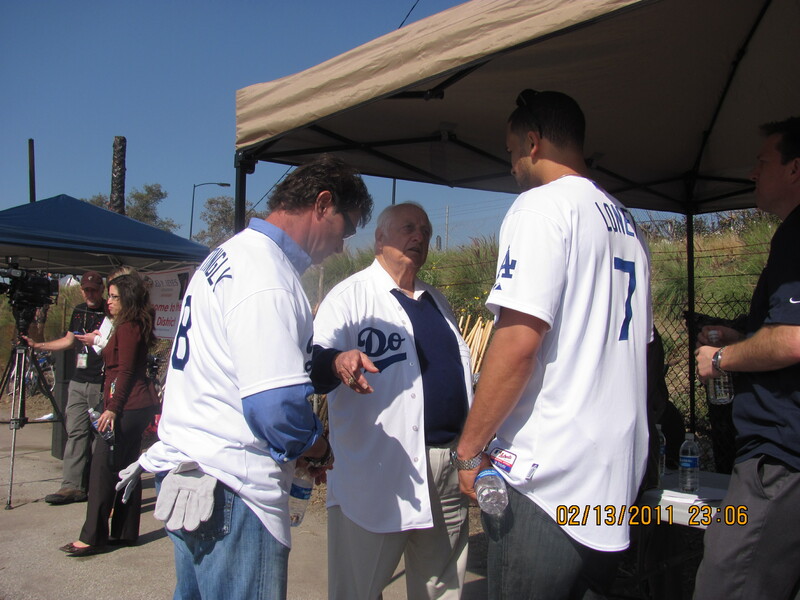 Afterwards, Tommy Lasorda giving some advice to Don Mattingly and James Loney. My Loney has a first name, is J A M E S. My Loney has a second name is L O N E Y. Oh I love to see him everyday and if you ask me why I’ll say… ’cause Loney has a way with H I T T I N G. That is what is in the back of Erik and my shirt. Loney was pointing it out to a sportscaster from Fox Sports so the guy was singing it as he read it. I scraped my leg trying to pull a shopping cart that had some sharp wires, Christmas lights and whole bunch of stuff. I had rain boots but it happened above the rain boot. When we left, we heard a “clump clump”. Erik asked me if I had someone in my trunk. It ended up that was my cellphone I had left on top of my trunk. 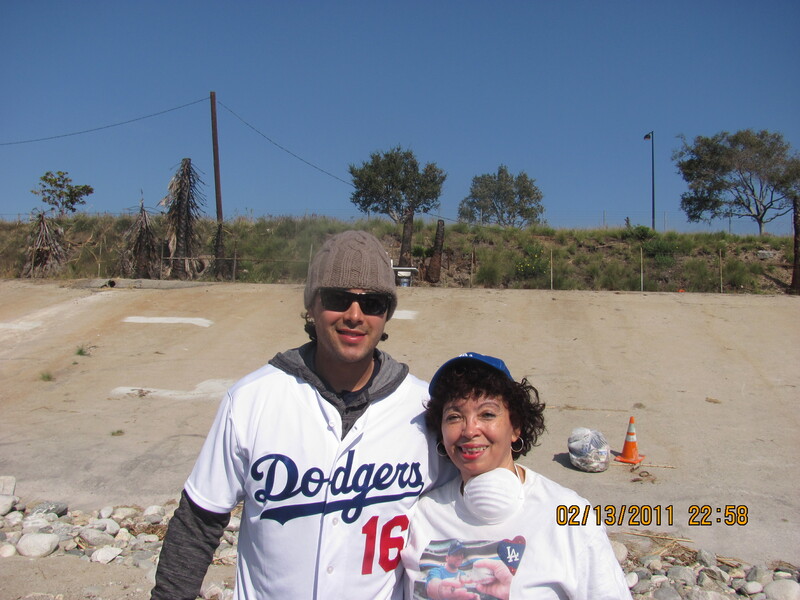 Even with scraping myself, alergies acting up and losing my cellphone, I enjoyed my day helping cleanup the LA river with Dodger players and Dodger fans. It was great sharing this day with friends on Valentines Day! Hope everyone had a wonderful Valentines Day. 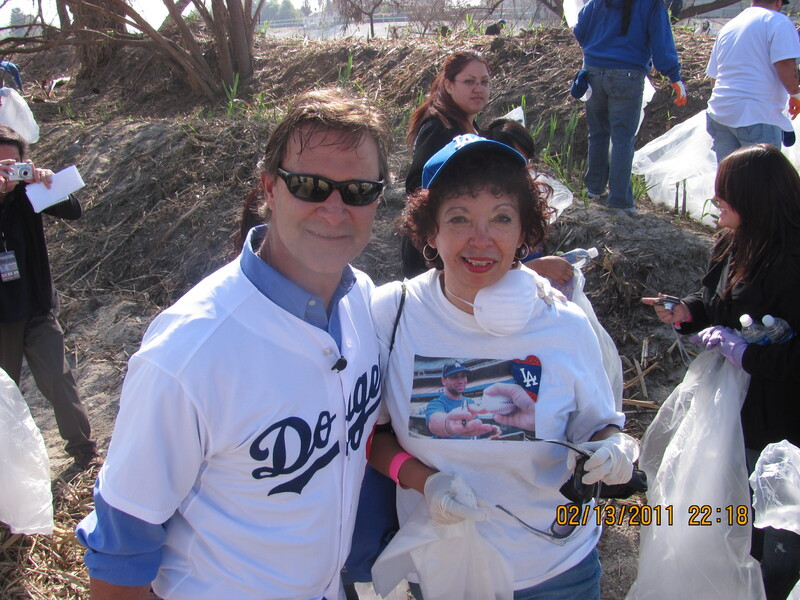 I can’t wait to go to Santa Monica tomorrow to continue cleaning up with our Dodgers! That’s simply awesome. It reminds me how bad our two teams here are at hanging out with us fans! I guess we’re just a bunch of animals. Grrr. LOL! Maybe is the weather. But they can cleanup the snow! So glad to have you back! Impressive! Schmoozin’ with the stars indeed! You go, girl! Great pics, Emma, and great cause. Mattingly looks adorable without the mustache. I wish him and the Dodgers well this year. Wow! Great pictures! It must have been a lot of fun to hang out with and work alongside the players. I love what you and Erik have on the back of your shirts and to have Loney notice and appreciate them had to be the nicest compliment. 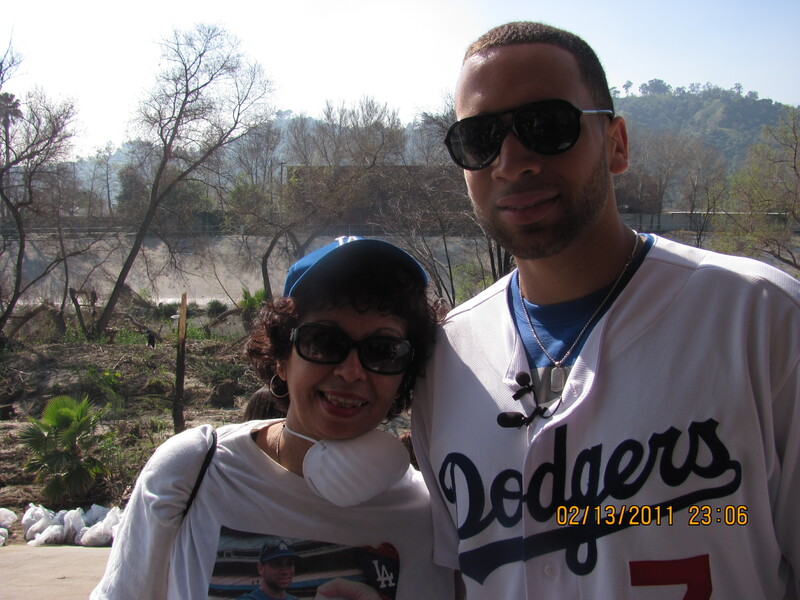 Loney is one of my favorite Dodgers too – great glove at 1st and oh so very clutch. Jeff. Haha, yeah. I was schoozing but I was also working! Yeah, Mattingly looked adorable and he was working hard there, especially when they were pulling a shopping cart. Did you happen to see they were at the Lopez show? The only one that did not make it there was Andre. Nice pictures. I don’t live in CA, but I want to thank you for taking time to help clean the planet. And I love the Oscar Mayer Loney song! Kudos to the Dodgers’ organization for sponsoring an event like this. It’s great to see some of the current players like Loney and Ethier, and not just the 25th guy on the roster, willing to pitch in as well. Sorry to hear you got hurt and lost your phone, but overall it sounds like a positive experience! What a great environmental cause. It was great to help out. The Oscar Mayer Loney Loney song is becoming more popular. It all started with Loney4Loney and his cous that came out with the song. Glad to have you posting again! Good to see the MLB Blog family back! 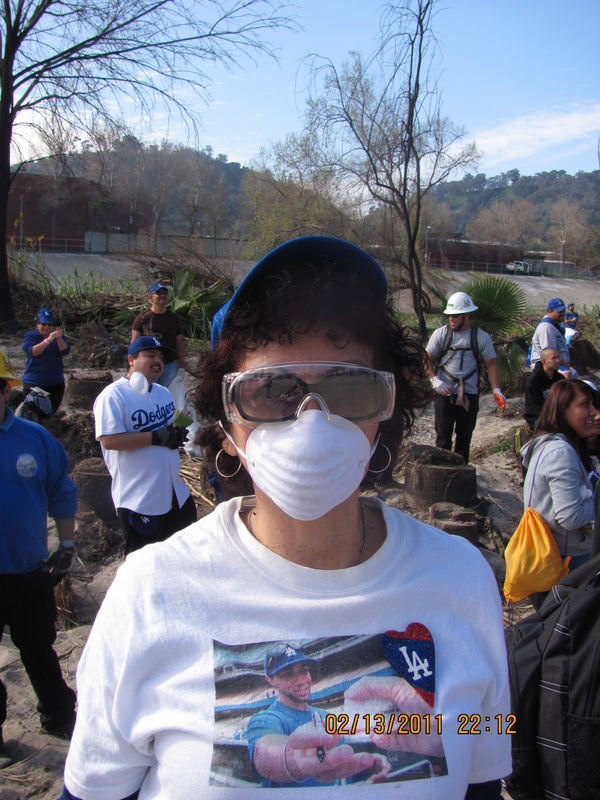 In additionl to Loney and Ethier on Monday, Matt Kemp, Fernando Valenzuela, Rafael Furcal, Steve Garvey made it the following day to the Clean the Bay day at Santa Monica. Yep! It rained a little bit in Santa Monica but there were the Dodgers and the fans helping out. Emma, that is wonderful! The pics are great and it sounds like you had a great day! Hope the scrape wasn’t too bad and heals quickly. 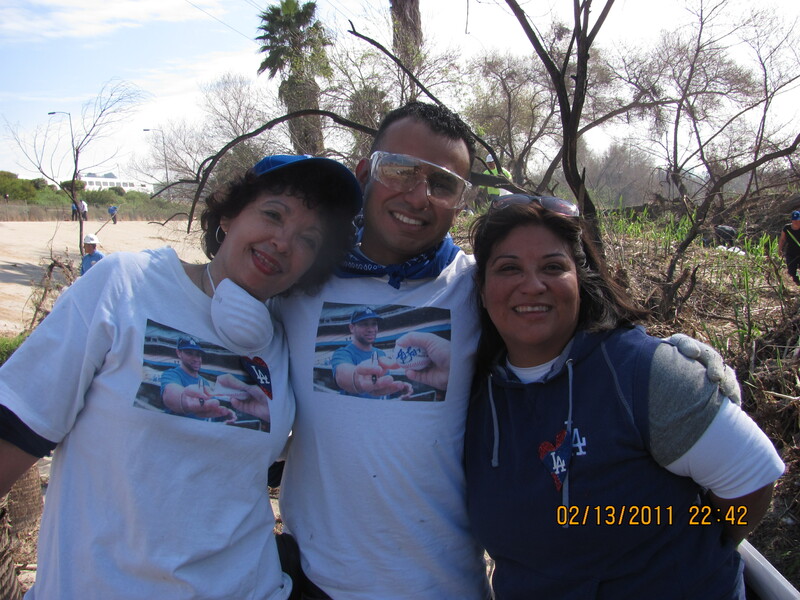 It was a lot of fun and most important we contribute to help out clean our town! My scrapes are healing OK 🙂 Thanks Ron! 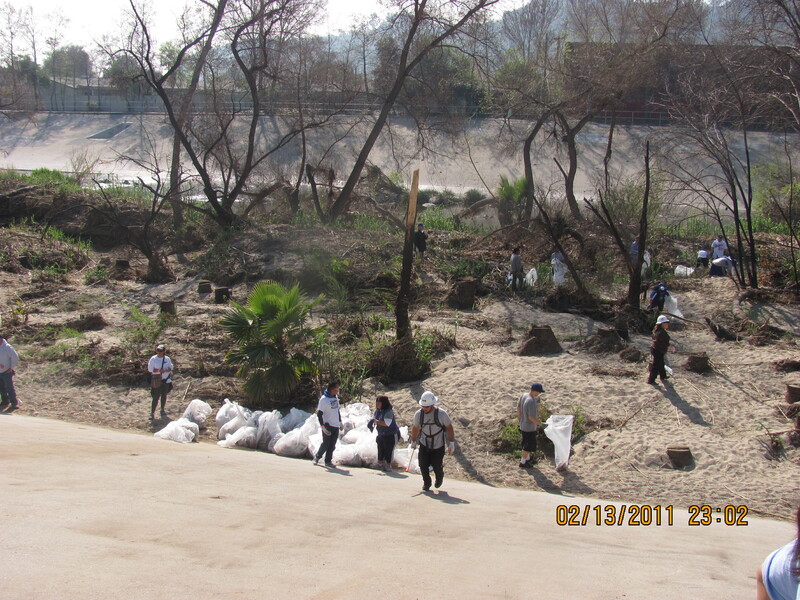 Great pictures and thanks for helping cleanout the river! Love the picture of you and Andre, he looks very handsome! Can’t wait for the season to start!